For many of us, we don’t put much active thought and analysis into these things even though they are so important to us. As we move through life, it’s incredibly easy to lose track of where we are, what we’re doing, and where we want to go. At some point, we sense something isn’t right and we know we aren’t where we’re supposed to be—nor where we want to be. Essentially, we get lost somewhere along our journey, and often aren’t sure how to find our way in life again. As a result, thoughts surrounding these questions can plague our minds at night and keep us awake when we desperately want to sleep. They can haunt us during the day and interrupt our peace of mind at any moment—particularly in our more quiet moments. Often, they torment us on a subconscious level so we aren’t even aware they are one of the roots of our troubles. Overall, they play a big part in our happiness, mood, perspective and engagement with life. So, while we may have a general overall sense of the answers to these questions, many of us tend to brush them aside and work to force them deep into the backs of our minds. There are numerous reasons for this, some of them personal and some societal. One of the biggest reasons though is fear. For many of us, we avoid these questions due to a powerful fear—often a subconscious one—of what it means to address them. 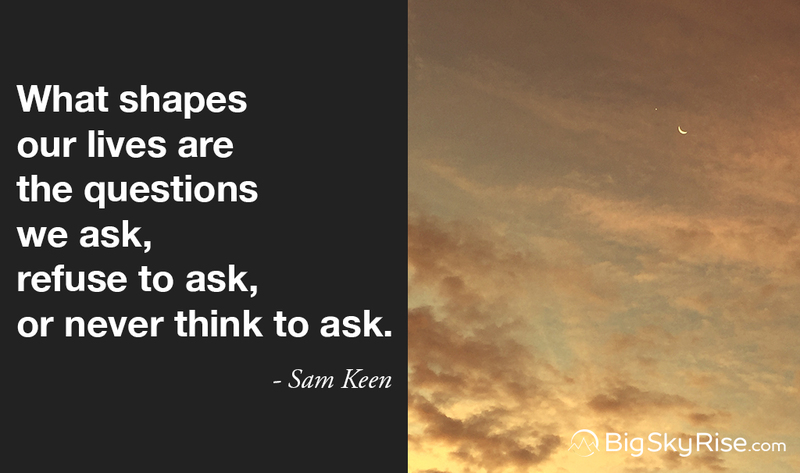 The questions seem daunting; they’re about life and life is big. We have a feeling we won’t like what the answers are. We don’t know what to do to fix things. We don’t feel like we have control over anything in life anyway. We feel like we should be somewhere else and feel guilty for being where we are, especially when we used to have such great dreams. Among other things, facing, and letting go of that guilt can be scary. Basically, it’s easy to be afraid of addressing these questions since the answers are often not to our liking and are hard to face. So, instead, we end up lost, detached from the precious beauty of our lives, drifting out of control in a sea of stress and grey, and the only thing we seem to know for sure is that there are a lot of things we want to avoid, and that we wish were different. In part by understanding this, and by taking a strategic approach, we can conquer our fear, and we can address these questions. There is an approach to reorient ourselves, to redirect our energy, to get us out of a downward spiral, to get us to a place where we are no longer lost, and to bolster our confidence to new levels. We can create our own map and directions for a happier path through life. That ability to create a map means that even if your answers to those tough questions aren’t to your liking, you have the power to change things for the better. Once you push through the fear and look into these questions, you can start a journey towards amazing things, and even see some immediate results. While there will be times that the journey will seem slow, and likely frustrating, taking it small step by small step will quickly lead you to new heights. There is amazing freedom, comfort, and joy in simply knowing that each step you take moves you in the right direction, the direction you want to go. On top of that, waking up each day, knowing it is a brand new opportunity to make yourself and your situation one notch better can change everything. So, how do you do this? How do you reorient yourself and find your way? Ask yourself these five questions, and then take the bonus step to amplify your results. 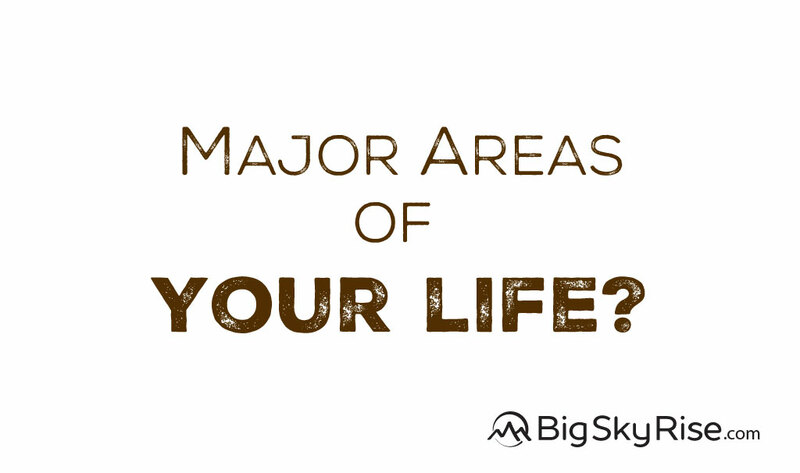 What are the major areas of life that are important to you? Question 01: What are the major areas of life that are important to you? Consider your life and break it into a number of compartments or sections. What are the components that hold the most meaning to you? This question helps you identify the different pieces that come together to form your overall life, and to realize the parts of life that hold the most meaning to you. For example, thinking of life as a house, there are many different rooms that go into making the overall house. In your life house, one room might be physical health, one might be your career, and another room might the relationship with your family. From this you can see that your bigger life house is made up of smaller rooms, each of which is connected to the others in some form. When your are coming up with the different components, consider your life as a whole. Look for all the areas that hold importance to you and note them down. There are no right or wrong answers, and you can describe them in any way you want, all that matters is that the description holds meaning to you. Each of us value things in our life differently, and often times, the things we hold dear can get lost in the hectic pace and pressure of the larger world. Society tends to emphasize certain things more than others, and even within families there can be pressure to place more weight on one area than another. So, once you’ve identified the components of your life, order them into a list of how important each of them are to you. Over time the weighting of each may shift and change, new components may be added, and some may be removed, so there’s no need to feel this is set in stone. The key take away from this section of the exercise is to have an ordered list of the most important components in your life right now. Question 02: Where are you now? What makes you happy and what doesn’t? What is the situation with the important things in your life right now? When we get lost, the first step is to pause, get oriented and figure out where we are at. That is what this part of the exercise is all about, knowing where you are in your life, in your interests, and in your happiness. To retrace the past or to not retrace the past? When doing these types of activities, sometimes it helps to retrace how we ended up where we are now. For this exercise, and at this stage, retracing the past isn’t necessary and doing so entails risks, particularly when approached with the wrong perspective. In retracing the past, it’s easy to get caught up in thinking, to dwell on the negative, and to lose track of the positive energy of right now and of what can be made of the future. For those reasons, during this exercise, I recommend spending less thought on the causes of the current situation and put your focus simply on where you are at this moment. There are other exercises for the purpose of learning from the past. Thinking of this overall exercise in terms of taking a road trip, this portion of it is about determining the starting point of your journey. You essentially want to know where you are starting journey from, what type of vehicle you have and what shape it is in. Be honest with yourself, even if it is hard. Some peace can be found in simply recognizing and acknowledging that a situation exists. By not being fully transparent and honest with yourself, it creates an extra drag that will continue to bother your subconscious and also limit your ability to implement great change. To change the things we don’t like, we first need to recognize that they exist. The problems you encounter and face in the various areas of life won’t simply vanish, they need to be recognized, acknowledged, and dealt with. This broader exercise is here to help you see, understand, and respond powerfully to the realities of your current situation. It is a tool to help you develop a plan for living the life you want. When acknowledging that things aren’t great in some ways, it is important to let go of blame and self-punishment. Wherever you are is where you are, and that’s okay. The best way to fix problems is to take where you are and move forward with clear vision and a positive attitude, not to penalize and berate yourself. Holding on to the negative usually only exacerbates the problems that already exist and holds you back from moving forward. Additionally, every mistake we’ve made, every error and wrong choice, and all the circumstances that have lead us to where we are hold lessons for us. If we treat these things with respect and a positive attitude, nothing is a waste. This way all the things we frequently chastise ourselves over turn into powerful lessons and tools to make life better. Question 03: Where do you want to go? What do you want to do, and to be able to do? What does each category of your life look like in its ideal state? Ask most people what they want and where they want to go, and the general response is a list of what they are trying to avoid and the places they don’t want to go. Much of the time, we focus on avoidance instead of on precision-targeted pursuit of what we want. This stems partly from our biological predisposition to avoid predators and dangerous situations, and among other things, also comes from a broader cultural conditioning. Unfortunately, this avoidance mentality limits our effectiveness in pursuing something greater since we focus on the wrong things and let fear control our actions negatively. To overcome this tendency, approach this question with the attitude of actively pursuing what you want. If you find yourself listing out the things you don’t want, redirect each item until you find out what it is you do want. That positive approach provides us with a direction to head. Also, notice in that simple example, how the avoidance approach is very non-specific and could mean a great many things. The positive approach on the other hand encourages a more specific response. When working on this portion of the exercise, be as specific as possible, be as honest as possible, and go deep. The more honest and specific you get the more helpful the overall exercise will be. Go as deep as you realistically have a sense for. The more specific your aim the better ability you’ll have to hit the target. Keep in mind, no one needs to see this other than you. If you don’t go deep enough to be clear and honest with yourself, it won’t be possible to alter the situation you’re looking to change. Also, don’t worry about barriers that might prevent you from accomplishing your aim. In this part of the exercise, they are irrelevant. As a simple example, instead of Hawaii being the destination arrived at earlier, perhaps the line of thought lead to Thailand. Don’t limit yourself because you don’t know how to speak Thai; that is just a fact to address later on the way to your goal. Ultimately, barriers can be overcome, no matter how imposing they may seem, so don’t limit yourself. Even in situations where barriers exist due to other people, solutions and acceptable compromises can be found, and those are things to figure out later. For other barriers, that we might think limit us, and that can’t be changed, such as our age, those are also irrelevant here. While it may truly be too late to become an olympic gymnast, the point is to get your dreams written down so you have a target to aim at. Later, that target can be adjusted based on legitimate limitations. As an example, after finishing up with this exercise, the gymnast target can be adjusted to competing nationally for your age group, or simply pursuing some activities that give you the some of the same senses of joy and accomplishment. The main point is, unlock your mind, let go of the restrictions you put upon yourself, and let your dreams bloom—especially for this activity. As you work through this, keep in mind, while most of the examples above covered a physical location, don’t restrict yourself to just that. 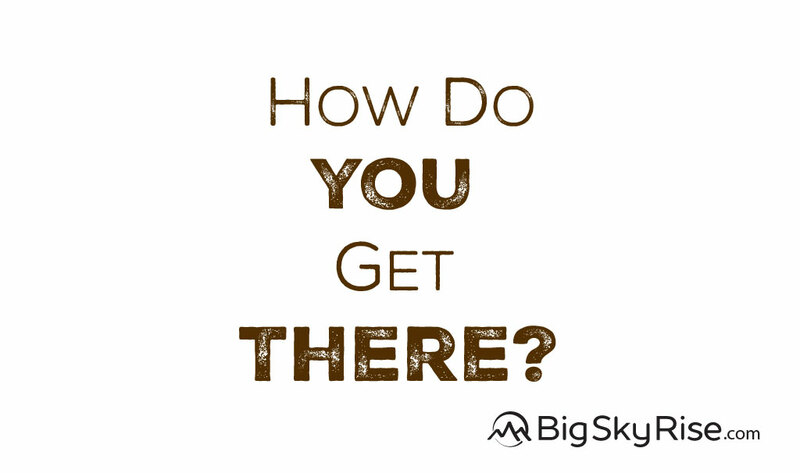 This question is really about the broader perspective of where you want to go in your life. In other words, where do you want your life path to lead, and what are some of the aspects associated with that? Imagine your ideal self in your ideal situation, and outline that. Think about all the areas, compartments, and elements of your life — the ones you outlined in the earlier question above — as they all come together to form the whole. In terms of your road trip, this step in the exercise is where you determine the place you will ultimately end up. This is when you figure out the location to put into your GPS and mapping software, as well as the type of vehicle you want to be driving to reach your destination. Imagine feeling happy and fully satisfied. Once you really can sense that state, back up from that feeling by imaging the scenarios that will contribute or lead you to that feeling. Think about times where you were the most happy and look for commonalities that might clue you in on what lead to that happiness. Search back to your youth and see if there were things you were good at, enjoyed, or dreamed about that just seemed to come naturally. Question 04: Why do you want to go there? What is the reason you want each of the things you want? 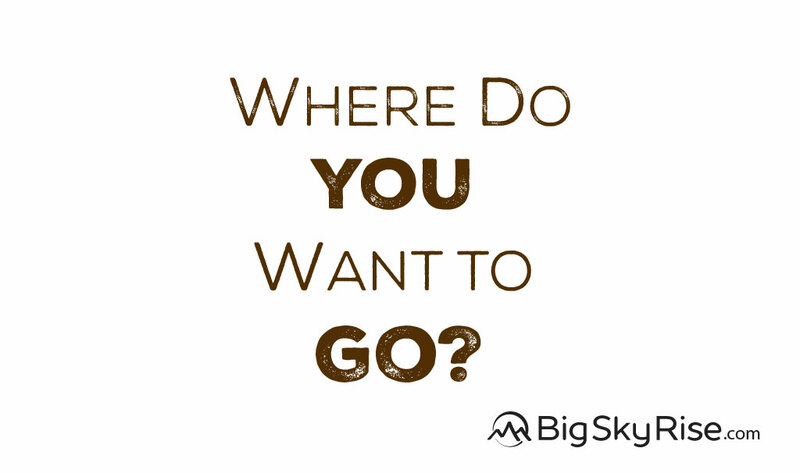 Why do you want to go where you want to go? The importance of this portion of the exercise cannot be overstated. Our “why” is an incredibly impactful piece of the bigger puzzle. Without this, even when we know exactly where we are, where we want to go, and how to get there, we are likely to fail in bringing about the change we seek. Our why is what gives us the drive to do what we need to in order to accomplish our goal. Without our why, we easily lose our way. While pursuing our goals, we will undoubtably run into obstacles, and some of them will seem enormous and insurmountable at first glance. We’ll hit points where we want to give up, and where everything seems like it is leading to nothing. This is the time when the power of a thoroughly examined why plays a huge part. Attaching a deeply emotional “why” changes everything. Your why will help you work through this whole exercise in a deeper way, and will help you actually live the changes you’re looking to make. When you hit an inevitable snag then look deep inside and see the reason you are doing what you are doing, it will give you the energy and strength to overcome whatever’s blocking you. 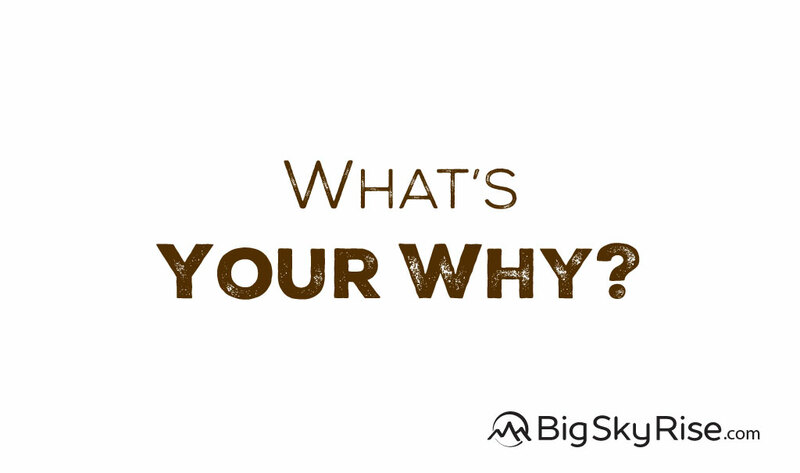 Your why taps into your own unlimited potential, a potential most of us rarely touch, and often don’t realize exists. Essentially, your why is the fuel that powers your vehicle and keeps it running at optimal performance. Just like with a car, without fuel there comes a point when things just won’t go any further. Unlike fuel for a car, a powerful why won’t run out. For that reason, it is particularly important to go as deep as possible, and really uncover the root of what you're looking for. Try going at least three levels deep, more if you can, asking yourself “Why?” each time you think you’ve uncovered your reason. Question 01: Why do I want to retire in 5 years? Thought 01: Because, I want to be free to do what I want, when I want, and have more time and flexibility. Question 02: Why do I want to be free to do what I want, when I want? Thought 02: Because, I want to be able to spend time with loved ones and spend time improving myself. Question 03: Why do I want to spend time with loved ones and improving myself? Thought 03: Because, I want to be a part of my loved ones lives, to give them things I missed out on, to help them, and to make their lives happier and more complete. I want to share my wisdom with them so they can benefit from my mistakes. Plus, I just want to be a presence in their lives instead of an absence. I miss them and they miss me. I want to improve myself so that I can be more well-rounded, have greater abilities, feel more youthful, and unleash the potential I know I have. I want to be more happy with myself, to become the best version of me possible, and to help others around me. I want to be an example that life can be good and dreams can come true. I want to inspire others. Plus, I don’t want to be filled with regret at the end of my life, to feel like I and others missed out because I didn’t use my time on earth in the best way possible. An extra benefit of going deep with your why, is that you may realize what you initially thought was your goal, actually isn’t. In examining your why, you may realize that there may be a different goal that better fulfills the “why” that’s driving you. For instance, back to the gymnast example, perhaps when working to uncover your why, you discover the only reason you sant to do that is to prove some sort of point to your retired, and now elderly high school P.E. teacher. Meaning, it’s a point that won’t really increase your happiness or make a truly significant difference in improving your life. In that situation, through examining your why, you may discover you don’t really want to become an olympic gymnast after all. As another example, maybe your initial goal is to become a school teacher because you like helping people learn. When examining your why, you realize that having a very flexible schedule is also important since you want to be able to do things with your family whenever they need it. Knowing that schools usually have very set schedules, you realize you’ll either need to give up some time flexibility, or determine a different way to teach and help people. Question 05: How do you get there? What’s it going to take to do what you want to do, to go where you want to go? What are the steps I need to take to move towards and reach my goal? The main idea here is to develop at least a rudimentary road map, one that gives you guidance, as well as a reference point for where you are as you move along your journey. When developing your roadmap, maintain a balanced level of detail, being thorough enough not to miss anything major, while also not getting bogged down in the nuances. You want enough detail to know the major points along your journey and the types of information you will need to know to succeed, as well as the hurdles that might crop up along the way. At the same time, keep your perspective high enough that you maintain a sense of the bigger picture and don’t get sidetracked and lost in a sea of trivialities. The goal here is to create a decent roadmap and to progress forward, not to get stuck in thinking about details. It’s really a bit like you’re drawing a map on a piece of paper with an outline of the directions you need to reach your destination. You want to know the roads to take and the major towns you’ll pass through. It doesn’t really matter if the grade of the road at mile marker 172 is 1 ° or 2 °. Plus, trying to know if you’ll pass a pink or an orange van at mile marker 234 will just be a waste of your time. You want enough details to know if you’re on the route, while keeping it short enough that you can easily scan your directions while you’re moving. In short, if you tend not to plan in life, plan a bit more in this exercise. If you tend to plan a lot in life, don’t get bogged down in the details here. As you go through this, if you recognize you don’t know enough about something, then your ‘how’ for that point is simply to learn more about it when the right time comes. That’s okay. In this case an action task is to find learning resources, role models, and to research how to start your business. There are all sorts of ways to get the information you need, it just takes acknowledging that there is a need to look for it. A great way to uncover some of the steps and methods to reach your goal is to look for other people who have succeeded in at least part of what you're looking to do. Write down who they are and plan to study them. Learn how they got where they are, what they did right, and the mistakes they made along the way. Expect the unexpected. From the very start, understand that as you pursue your goal, you’ll uncover things you didn’t originally anticipate. More often than not, we don’t know what we don’t know, and numerous surprises will pop up along your journey. As you actively pursue your goal, don’t get discouraged. Unexpected things arise, challenges seem bigger than originally thought, and at times progress doesn’t seem to be happening very quickly, or at all. This is part of learning, growing, and getting to where you are meant to go. If you hit big obstacles, those can be addressed when you encounter them by breaking them down into smaller pieces and by appreciating the lessons which they are offering you. Success often comes after pushing through the point where it seemed easiest to give up. The first five steps are the core of this exercise, and can take you far on your journey. 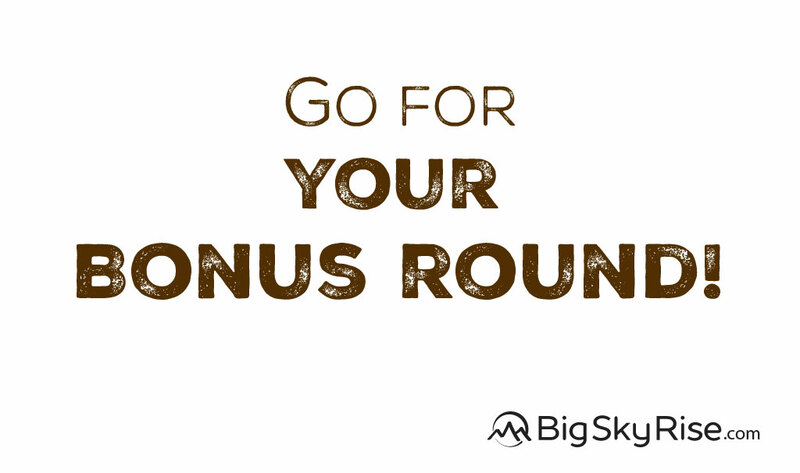 This bonus part of the exercise is about taking some extra measures to give yourself an even greater chance of success. Essentially, this is like adding voice navigation to your GPS, a hands-free set to your car with direct dial to on-call help, and a companion to travel with you. Take a full day off and away from distractions where you will be comfortable and fully relaxed to go through this exercise. Trying to go through this a piece at a time makes it less effective since our vision and the emotional power behind it is greatly decreased by spreading things out. Yes, it can be tough to take a day away. This is about your whole life though, so it’s important. Beyond being about yourself, your life and the way you live it impacts countless others. Your actions impact their day, and the way you live shows people what the ‘norm’ is, so make sure you are impacting people in the best way possible. Write down short versions of your answers to the steps above on a big piece of paper and put it on the wall in front of you. Or, make it an image and put it as your desktop wallpaper. Additionally consider putting simplified versions of your answers as a morning reminder on your phone. The main idea is to get your your answers in front of you as often as possible, so that they are always in your mind, and so they don’t get lost in the noise of the world. If you only do this for one of the questions above, I suggest doing it for your why. Every time you take an action ask if it is helping you get to where you want to go. When you know your target, and know your why, it is easier to say ‘no’ to things since you know you need to say ‘yes’ to great things. Remind yourself throughout the day of what your aim is and why you want it, then ask what are you doing today to accomplish it. Share your goal with someone. This will give you accountability to make sure you keep progressing, and also give you someone to work through difficulties with. You may find you aren’t comfortable sharing certain things, or want to share one aspect of your goals with one person and another aspect with someone different. All of that is okay, the main aim with this is to find someone to help you and to keep you accountable. Regardless of the answers you uncover when asking the questions above, spending the time on this type of exercise and creating your life and success map is a big step to getting on a path towards a happier, more fulfilling life. Once you have your map, the next step is to begin your journey—of course, I’ll be sharing plenty of tips and resources to help along the way. As you take things on, keep in mind there is no rush. The point is to simply make progress. For the best chance of success, take it small step by small step. Practice and use mindfulness as a powerful tool to help yourself along the way. Among its many benefits, mindfulness helps you live in the now. Enjoy it, be in it, and appreciate it even if you aren’t at your goal. Being mindful also amplifies everything else you learn in your efforts to live a happier more fulfilling life. You’ll be able to better spot important information, critical pivot points on your journey, ways to uncover motivation and confidence, and opportunities for greater success. Mindfulness offers innumerable benefits in this kind of endeavor, which is why it is such a big part of BigSkyRise. As bonus for taking the time to make your life, and thus the world, a better place, I put together a limited-time extra to help you out and to say thank you. This bonus pocket guide will help take you through each step of this process in an easy to use and reference format. This likely won’t be up forever, so grab it while you can. Create a map for a happier, more fulfilling life by asking yourself these five questions, take the bonus step to amplify your results, and be sure to join the newsletter for additional bonuses to help you find your way in life. Love life as it is, appreciate what’s there, and at the same time make things better using the power of a gentle and motivating desire. 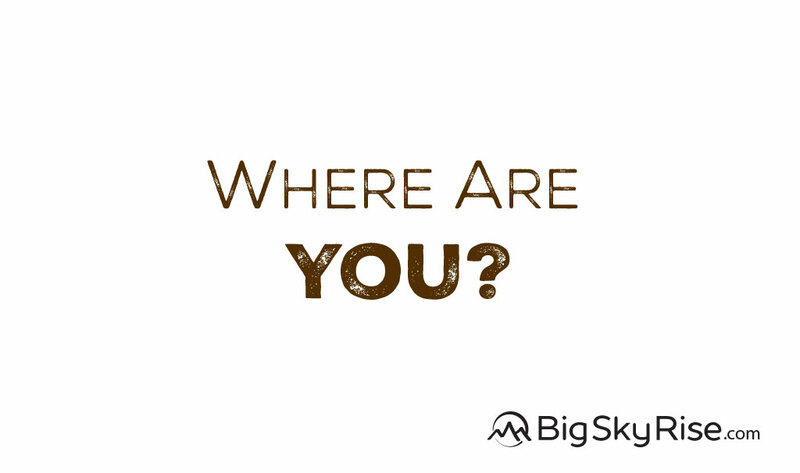 BigSkyRise exists to make life better, and to help you uncover happiness. Please share with the people you care about. Give them tools to help along their journey, to help them know they are not alone, and to help them find the happier, more fulfilling life each of us is meant for.